The other day I was staring at my scrapbook paper scrap bin (say that three times fast) while my daughter and I were messing around in the craft room. I picked up a piece of paper and started cutting. A paper feather was born two and a half minutes later. Before you know it, I couldn’t stop. 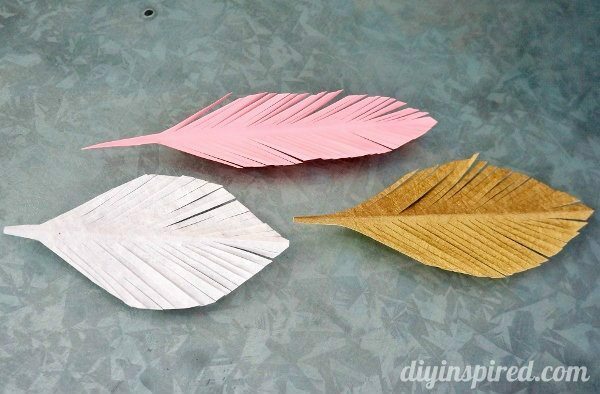 I have no idea what I’m going to do with these paper feathers but I did notice some things when I was crafting them SO here are some Tips on How to Make Paper Feathers. 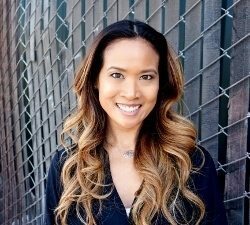 First, here is how you make them. You only need TWO things! I searched through my paper scraps for long and narrow pieces like these. Next, fold them in half lengthwise. 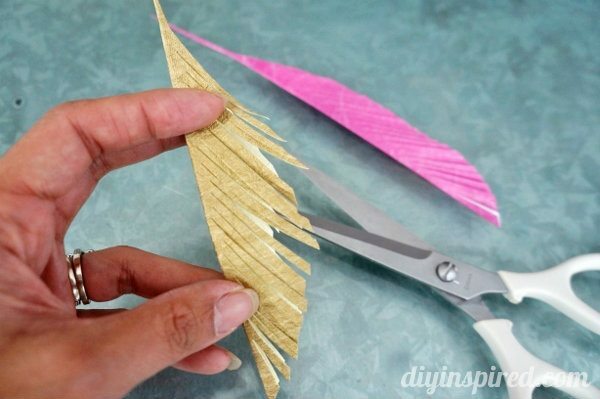 Cut out your feather as shown. It doesn’t have to be perfect. Start cutting your fringe in an angle. The angle can vary. 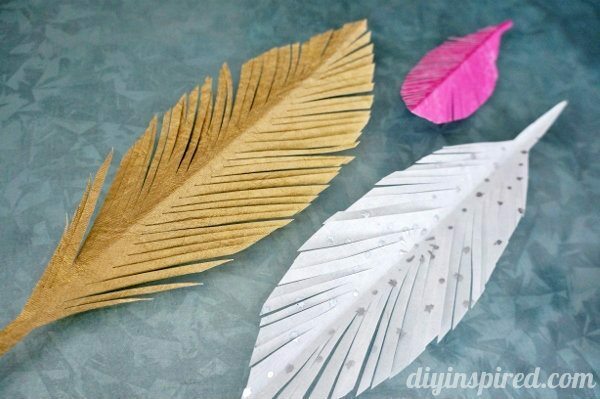 Tip #1: Consider different colors, patterns, paper weight, and textures for your feathers. The lighter the paper, the more flimsy BUT the more realistic too. Patterns and textures are fun to play around with too. 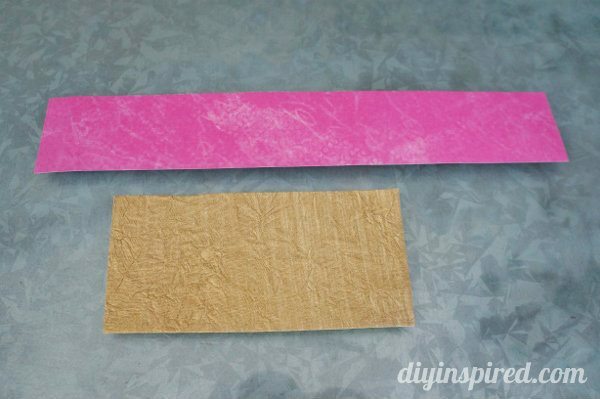 Tip #2: Consider the length and width of your scrap paper. 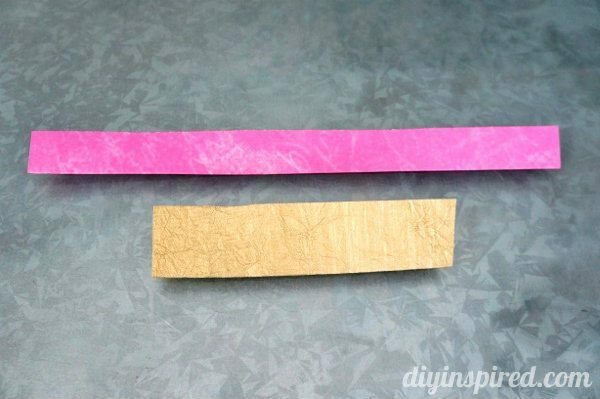 The shorter the paper, the wider your feather and vice-versa. 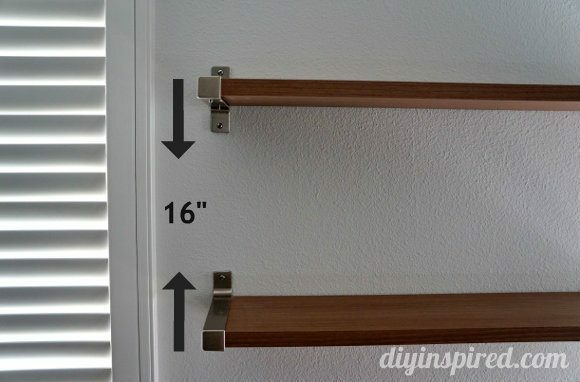 Play around with varying lengths depending on your project. 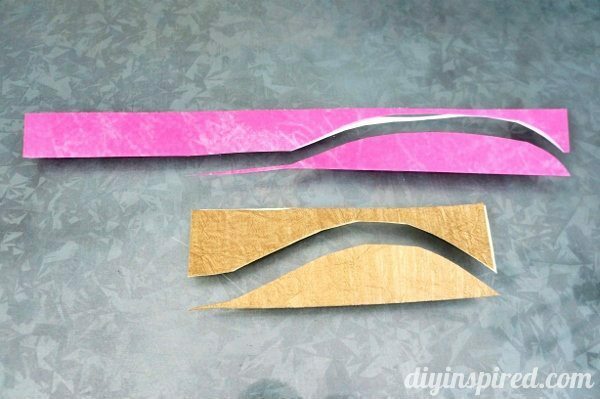 Tip #3: If you are using one-sided decorative paper, consider the fold of the feather. They both are interesting and pretty! 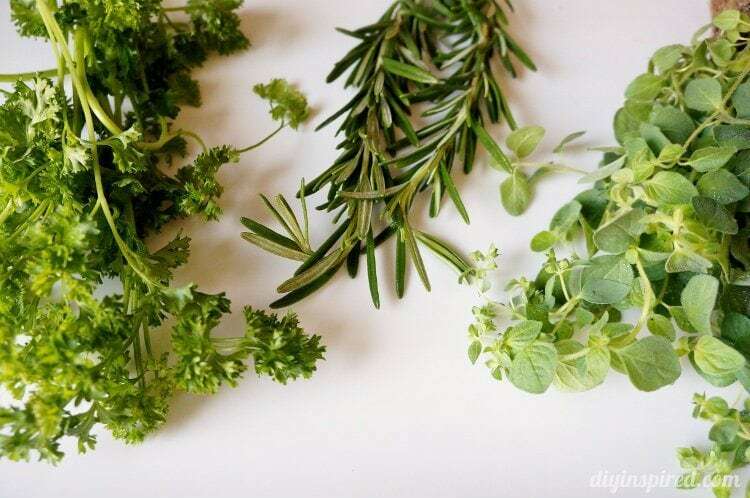 Tip #4: Think upcycle! 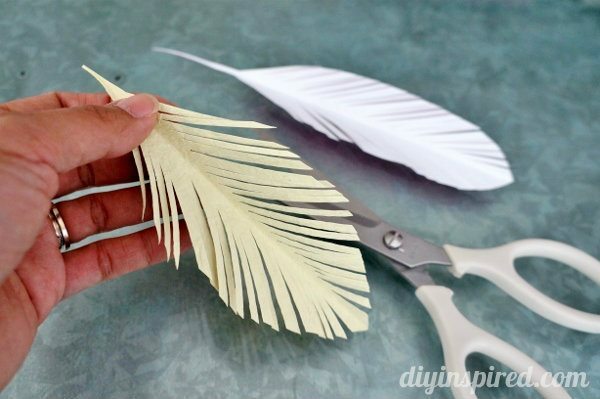 Not only can you make feathers out of paper scraps, but you can also reuse recycled book pages, magazines, sheet music, or even your child’s artwork! Love this! 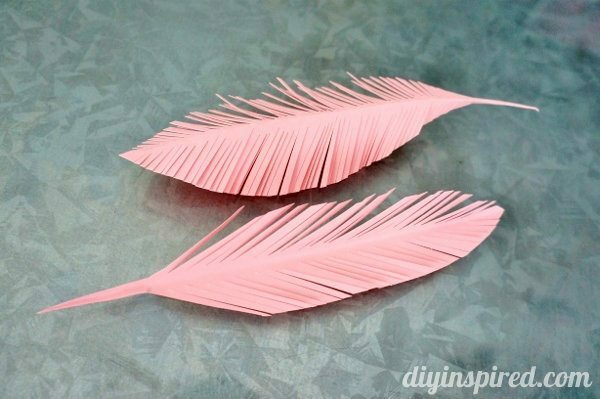 I love paper crafts and feathers awesome job! Thank you Ruby! 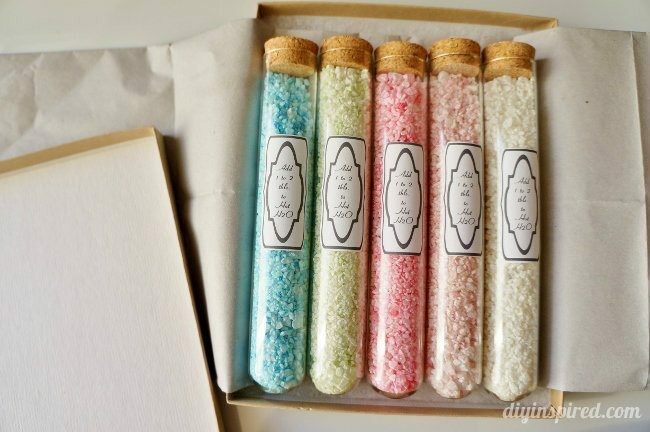 They are so fun and addicting to make! Now what do I do with all of them???? 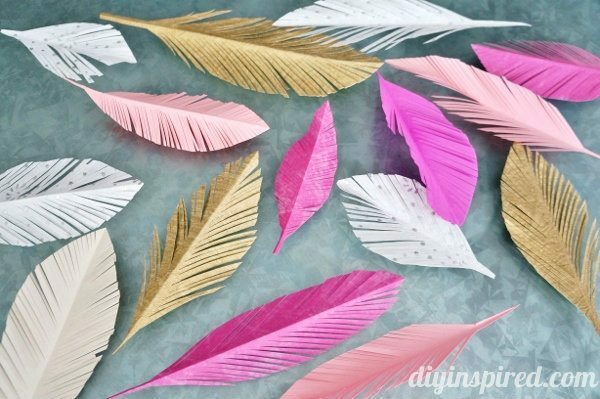 These paper feathers look absolutely gorgeous. Thank you so much Cocoleta!